We will use this 'Notes and Blog' area keep the community and our members up to date on the happenings and discussions of The Pittsburgh Black Hat Society Network at our General Meetings, Event Details, Organizer Bios, Words from the organizers, Speaker/Performer Information and Bios, Past Newsletters, and General Disccusion Boards will also be included in this area. Lupercalia is a Roman ritual of purification and fertility dating from such an ancient time that even the Romans of the first century BCE had forgotten its origin and to which Gods it was dedicated and even the meaning of some of its symbolism. 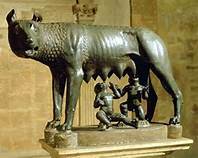 (Contrary to Z Budapest’s statements, it was not known whether it was to Faunus and in fact I think it may have been sacred to the more ancient founding Goddess, Rumina, the She-Wolf of Rome.) Central to the ritual is the lustration (light flogging) with a goat skin scourge (see, Gardner didn’t invent it). This was often accompanied by much rowdiness and horse-play. 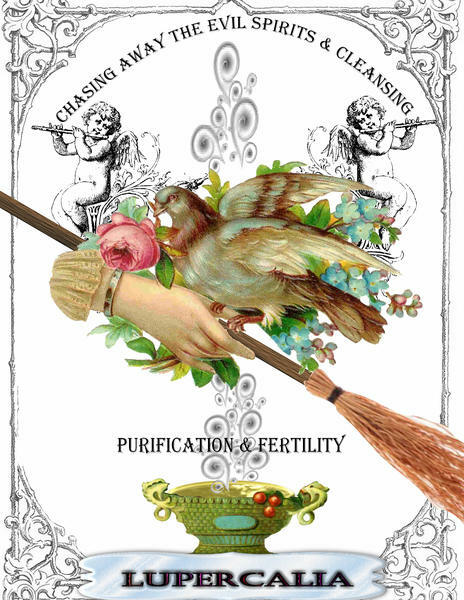 The purpose was the purification of the people from curses, bad luck and infertility. The ritual is performed on February 15. The name of the month comes from the februa, anything used in purifying including wool (used for cleaning), brooms, pine boughs (which make the air sweet and pure), etc. Except for the intrusion of foreign cults, this was the only Roman ritual where a goat was sacrificed. Dogs were only offered to Robigus (a guardian associated with crops), the Lares Praestites (the guardians of community), and Mana Genata (ancestral guardians). 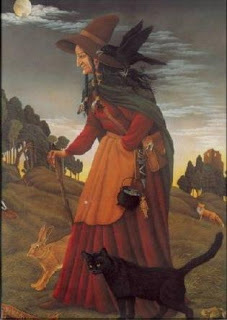 Because of the cave, the fig tree, the milk, and such, I suspect the very oldest forms of this rite honored a Goddess. Unlike some of the other Roman rites like the October Horse sacrifice, there is no other Indo-European equivalent in Vedic, Scandinavian, Irish, or Indo-Iranian traditions. ALLSPICE: These small dark, reddish-brown berries are so called because their aroma and flavor resemble a combination of cinnamon,cloves and nutmeg. Use berries whole in marinades; for boiling andpot roasting meatsand poultry; in fish dishes, pickles and chutneys. Also available ground and excellent for flavoring soups, sauces anddesserts. ANISE: Commonly called asniseed, these small, brown oval seeds havethe sweet, pungent flavor of licorice. Also available ground. Useseeds in stews and vegetable dishes, or sprinkle over loaves and rollsbefore baking. Try ground anise for flavoring fish dishes and pastriesfor fruit pies. CARAWAY: Small brown, crescent-shaped seeds with a strong liquoriceflavor and especially delicious as a flavoring in braised cabbage andsauerkraut recipes, breads (particularly rye), cakes and cheeses. CARDAMOM: Small, triangular-shaped pods containing numerous smallblack seeds which have a warm, highly aeromatic flavor. You can buygreen or black cardamoms although the smaller green type is morewidelyavailable. CAYENNE: Orangey-red in color, this ground pepper is extremely hot andpungent. Not to be confused with paprika which, although related, ismild flavored. CHILI POWDER: Made from dried red chilies. This red powder varies inflavor and hotness, from mild to hot. A less fiery type is found inchili seasoning. CINNAMON & CASSIA: Shavings of bark from the cinnamon tree areprocessed and curled to form cinnamon sticks. Also available inground form.Spicy, fragrant and sweet, it is used widely in savory and sweetdishes.Cassia(from the dried bark of the cassia tree) is similar to cinnamon,but less delicate in flavor with a slight pungent 'bite'. CLOVES: These dried, unopened flower buds give a warm aroma andpungency to foods, but should be used with care as the flavor canbecome overpowering. Available in ground form. Cloves are added tosoups, sauces,mulled drinks,stewed fruits and apple pies. CORIANDER: Available in seed and ground form. These tiny, pale brownseeds have a mild, spicy flavor with a slight orange peel fragrance.An essential spice in curry dishes, but also extremely good in manycake and cookie recipes. CUMIN: Sold in seed or ground. Cumin has a warm, pungent aromaticflavor and is used extensively in flavor curries and many MiddleEastern and Mexican dishes. Popular in Germany for flavoringsauerkraut and pork dishes. Use ground or whole in meat dishes andstuffed vegetables. FENUGREEK: These small, yellow-brown seeds have a slight bitter flavorwhich, when added in small quantities, is very good in curries,chutneys and pickles, soups, fish and shellfish dishes. GINGER: Available in many forms. Invaluable for adding to many savoryand sweet dishes and for baking gingerbread and brandy snaps. Freshginger root looks like a knobby stem. It should be peeled and finelychopped or sliced before use. Dreid ginger root is very hard andlight beige in color. To release flavor, 'bruise' with a spoon or soak in hot water before using. This dried type is more often used inpickling, jam making and preserving. Also available in ground form,preserved stem ginger and crystallized ginger. MACE & NUTMEG: Both are found on the same plant. The nutmeg is theinner kernel of the fruit. When ripe, the fruit splits open to revealbright red arils which lie around the shell of the nutmeg - and oncedried are known as mace blades. The flavor of both spices is verysimilar -warm, sweet and aromatic, although nutmeg is more delicatethan mace.Both spices are also sold ground. Use with vegetables; sprinkled overegg dishes, milk puddings and custards; eggnogs and mulled drinks; oruse as a flavoring in desserts. PAPRIKA: Comes from a variety of pepper (capsicum) and althoughsimilar in color to cayenne, this bright red powder has a mild flavor. PEPPER: White pepper comes from ripened berries with the outer husks removed. Black pepper comes from unripened berries dried until darkgreenish-black in color. Black pepper is more subtle than white. Usewhite or black peppercorns in marinades and pickling, or freshly ground as a seasoning. Both are available ground. Green peppercorns are also unripe berries with a mild, light flavor. They are canned inbrine or pickled, or freeze-dried in jars. They add a pleasant, light peppery flavor to sauces, pates and salad dressings. Drain thosepacked in liquid and use either whole or mash them lightly beforeusing. Dry green peppercorns should be lightly crushed before using to help release flavor,unless otherwise stated in a recipe. POPPY SEEDS: These tiny, slate-blue seeds add a nutty flavor to bothsweet and savory dishes. Sprinkle over desserts and breads. SAFFRON: This pice comes from the stigmas of a species of crocus. It has a distinctive flavor and gives a rich yellow coloring to dishes,however, it is also the most expensive spice to buy. Available insmall packets or jars(either powdered or in strands - the strands being far superior in flavor). This spice is a must for an authentic paella or Cornish Saffron Cake. Also an extremely good flavoring for soups, fish and chicken dishes. SESAME SEEDS: High in protein and mineral oil content, sesame seedshave a crisp texture and sweet, nutty flavor which combines well incurries and with chicken,pork and fish dishes. Use also to sprinkleover breads,cookies and pastries before baking. STAR ANISE: This dried, star-shaped seed head has a pungent, aromatic smell, rather similar to fennel. Use very sparingly in stir-frydishes.Also good with fish and poultry. TURMERIC: Closely related to ginger, it is an aromatic root which isdried and ground to produce a bright, orange-yellow powder. It has arich, warm, distinctive smell, a delicate, aromatic flavor and helpsgive dishes an attractive yellow coloring. Use in curries, fish andshellfish dishes, rice pilafs and lentil mixtures. It is also anecessary ingredient in mustard pickles and piccalilli. All spices should be stored in small airtight jars in a cool, darkplace, as heat, moisture and sunlight reduce their flavor. Galegine (the anti-diabetic chemical in the plant), tannins, chromium. The above-ground parts of the plant, ground and chopped. Traditionally used as a tea, sometimes available in tea bags. May also be taken as a capsule or extract. 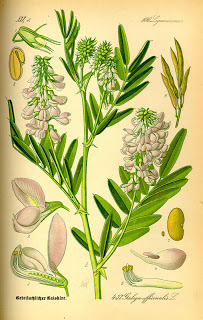 Goat's rue derivatives have been associated with reductions in blood sugar levels, but more clinical studies are needed. It is also used cosmetically in hand and foot bath formulas. The safety for pregnant or lactating mothers has not been clinically verified, but historical information tends to regard it as safe, and in fact it may be able to increase breast milk. 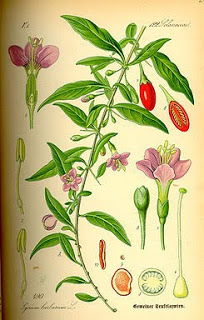 Lycium chinese and barbarum (often traded interchangeably in Chinese Medicine) Chinese Matrimony-vine, Boxberry, Boxthorn, Wolfberry, and Gou qi-zi. PLEASE NOTE! "Goji berry" and Lycii berry are virtually the same, with the only discernable difference is that Gojii is usually a high altitude strain of Lycium and is commonly found in the Himalayas, Nepal, Tibet, etc., whereas Lycii berry is the more common variety found in lowland areas. For trade purposes they are usually considered the same. Lycii berry, otherwise known to Chinese herbalists as Goji or Chinese Wolfberry is a bright red, almost chewy berry with a taste very similar to Raisins. It has been used as a general nutrient tonic (Yin tonic) for many years and Chinese medicine refers to it as a "cooling tonic". Not much research has been carried out for this particular botanical and to date there have not been any released notes on possible medicinal contraindications, side effects or potential health hazards (except for those pregnant or nursing). One particular warning that has been issued comes from many traditional Chinese herbalists who suggest that Lycii should never be taken for acute colds or flu, because it will have the tendency to bring a sickness deeper. 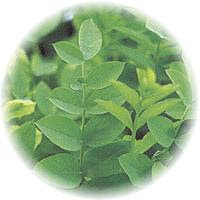 It was once said by one of our favorite published herbalists that "Wolfberry can make the young wolf out of the old man", because for many years Lycii has been administered for erection problems. In one recent study, results showed that men over 59 who took 2 ounces of Lycii berry each day walked away from a 10 day study having significantly higher levels of testosterone. In addition to its seemingly successful use of erection problems, Lycii is also widely used as a general health tonic, capable of removing harmful toxins from the body. The fruit is one of the most popular tonics used in Chinese herbal medicine today and a decoction is typically used to clear the vision, strengthen the kidneys, and nourish the liver. Lycii berries contains betaine, which is an emmenagogue and abortifacient. Avoid using when pregnant or nursing. Chinese herbalists suggest to abstain using it during times of cold and flu. Halloween is my FAVORITE time of the year. I like to learn different things about the history and others traditions. I found this on a teaching site, actually, and thought it was interesting.Not Just Halloween: Festivals of the Dead from around the World“The dominant spirit, however, that haunts this enchanted region, and seems to be commander-in-chief of all the powers of the air, is the apparition of a figure on horseback without a head. It is said by some to be the ghost of a Hessian trooper, whose head had been carried away by a cannon-ball, in some nameless battle during the revolutionary war; and who is ever and anon seen by the country folk hurrying along in the gloom of night, as if on the wings of the wind.”—“The Legend of Sleepy Hollow,” Washington IrvingEurope and America are by no means the only places with long histories of acknowledging the close of the harvest season through the remembrance of ancestors and strangers who have passed on. These traditions also share many elements with festivals held around the world commemorating the death of spring, as well as loved ones no longer with us. One point of intersection can be found in the offerings of food that were left on doorsteps on All-hallows-eve in many parts of Europe and America in the hopes that it might prevent wandering spirits from entering the house. Offerings comprise an integral part of many fall festivals to the dead around the world, such as those celebrated and practiced in Japan, Cambodia, and Mexico. 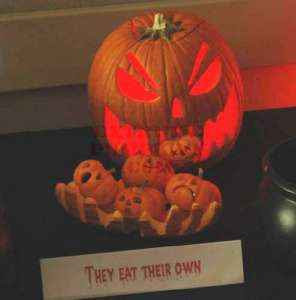 Why might the making and offering of special foods be an important part of festivals dedicated to the dead? Japan—The Obon, or the Festival of the LanternsThe Festival of the Dead in Japan, which is called Obon, is held every year in the month of August. The festival often goes by a second name: The Festival of Lanterns. As in the traditional festival of Halloween, the souls of the departed return to the world of the living during this time. However, unlike Halloween, in which the souls of the dead are often imagined as malevolent or angry, like the Headless Horseman, Obon is a day when the spirits return to visit their relatives.Many Buddhists in Japan celebrate this holiday by preparing offerings of special food for their ancestors’ spirits, which are placed on altars in temples and in their homes. As the sun goes down families light paper lanterns and hang them in front of their houses to help the spirits find their way home. The celebrations end with families sending colorful paper lanterns lit by candles floating down the rivers and bays of Japan and out to sea. The string of colorful lights bobbing in the water are meant to guide the spirits of their loved ones back to the realm of the dead until next year. Cambodia—The P’chum Ben at the PagodaIn the tenth month of the lunar calendar, which usually falls in September, Cambodian Buddhists celebrate the Pak Ben, 14 days during which they will wake before dawn each morning to prepare offerings of food and other gifts to the monks living in the local pagoda and to their ancestors. On the 15th day villagers visit the pagoda with offerings of sweet sticky rice and bean treats wrapped in banana leaves and other special foods to mark the P’chum Ben, or the Festival of the Dead, which marks the close of the Pak Ben.Each morning during the festival offerings of food, often beautifully prepared and decorated, are brought to the many temples and pagodas that dot the Cambodian countryside and cityscapes. These offerings are meant for their relatives who have passed on, and each plate of decorated sweets and fruits are offered with a prayer that they will reach their loved ones. In addition, huge batches of rice mixed with sesame seed are prepared each morning and spread along the ground in front of the pagoda where it is left for the hungry ghosts, as spirits who wander the world without any living ancestors to take care of their memory are known.The P’chum Ben festival is a day when people wear their finest clothes, get together with family and friends at the local pagoda, listen to music and speeches by monks, abbots and other important local figures, and enjoy the culinary delicacies whipped up for the occasion. While this Buddhist festival has important and serious underpinnings, it is also a time for people to spend a day visiting their friends and families, and enjoying the celebrations. The Aztecs’ Festival of the Dead was not a day-long or week-long celebration, but went on for nearly two months in which the fall harvest was celebrated and death was honored. The festival was presided over by the goddess known as Mictecacihuatl, or the Lady of the Dead. Over the course of the festivities participants would create offerings for the dead such as foods, alcohol, flowers and ceramics.Aztecs and Mayans both believed that one day of the year the souls of the departed would return to the realm of the living, where they could visit their families and loved ones. With the arrival of the Spanish, and Catholicism, the new rulers of Mexico attempted to marshal the fiestas dedicated to the dead under the auspices of All Saints Day (November 1st) and All Souls Day (November 2nd). The dates of these two Catholic holidays are now celebrated in Mexico as Los Dias de los Muertos.This fiesta is marked by the invitation by the living to the dead to return to their family home for a visit. Families place photographs of their loved ones who have passed on at the deceased’s gravesite or on a family altar. They also place offerings of flowers, drinks and food alongside the photographs. This ritual is particularly important for those who have been lost in the year since the previous festival, and is a way of coming to terms with the death of someone loved and missed.Extended families will often meet in the cemeteries on the evening of the festival, and will collect together at the gravesite of a recently deceased relative. The family may keep vigil through the night, all the time eating the foods they have made in preparation for the fiesta, visiting with their relatives, and praying for all the members of the family, alive and dead.The preparation of the altar is an integral part of this fiesta, and some of the objects that are prepared especially for the altar have become a familiar sight to many outside of Mexico. Altars are often decorated with flowers, whose brief life span is meant to be a reminder of the brevity of all life. Brightly colored and intricately cut tissue paper festoon the altar, waving like multi-colored flags. Sweets, fruits and other foods are joined by the staples: bread, salt and water. Grooming supplies, such as a washbasin and soap, are provided for the spirits to tidy themselves after their long journey. Finally, the well-known Calaveras statues depicting skeletons participating in the activities of the living- from cooking to playing in mariachi bands- take their place on the altar, where their comic appearance brings a smile to the faces of the grieving.I would love to hear what you do on Samhain/Halloween. What special traditions do you and your family have? It is a very special time of the year in our home, so I would love to hear how others celebrate! population of Ireland to Christianity. The Druids, however, stood in his way. The Druids were very important people in Ireland at that time, and their symbol was the Snake of Wisdom. Druids could be priests of the old religion of Ireland, but there were also much more. One part of the Druid class were the "Bards", whose job it was to remember all of the history of the people, as well as to record current events. Because the Irish Celts did not rely on a written language, everything had to be memorized. Bards were poets and musicians, and used music and poetry to help them remember their history exactly. Because of this, Bards were highly respected members of the Irish society. The Irish believed that history was very important, for if you didn't remember what had happened in the past, you couldn't safely plan for the future. Bards, therefore, held the future of the people in safekeeping. the knowledge of the laws of the society, they too, like the Bards, were held with much respect. And, of course, there were the Druid Priests. This branch of the Druid set were the keepers of the knowledge of Earth and Spirits. 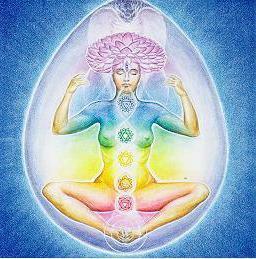 It was their responsibility to learn the Spirit World, in order to keep people and Earth in harmony. Priests performed marriages and "baptisms", they were healers, and psychiatrists. The Priests were The wise grandparents to whom you could go with a problem. They were there to help you solve them, with the help of the Earth and the Spirit World. Into this world of the Irish Celts entered a highly energetic and devoted Christian Priest named Patrick. Because he believed so strongly in the tenets of Christianity, he thought that anyone who was not Christian had to become one in order to be "saved". He came to Ireland to convert the Irish people to Christianity. without Patrick and his ideas, but he was persistent. He noticed that the Druids were really the important people of the society. He thought that if he could convert the Druids to Christianity, the rest of the people would follow. Patrick's main problem was that the Druids were very comfortable with what they had already learned, and were not willing to change. Druids had spent their entire lives learning the ways of the people, and were the last people who were willing to change. Christian Ireland, he was getting desperate. He knew that because the strength of the people rested with the Druids, he had to get rid of them in order to get the people to listen to him. hear the teachings of Rome. Because the Druids were the only ones who were taught to remember the history, with the Druids dead and their influence broken, the history was forgotten. Patrick won. By killing off the teachers and the wise ones, his own religion could be taught. For this mass conversion of a culture to Christianity, and for the killing of thousands of innocent people, Patrick was made a Saint by his church. Today the story is told that Patrick is the patron Saint of Ireland because he "drove the snakes out". We now know that the "snakes" were the Druids. So although I love the Irish people and celebrate their Celtic heritage, I don't "celebrate" a day dedicated to the man called Patrick, Patron Saint of Ireland. "Doing my part to pass it on"
women and children. So, I've started a tradition with my coven and other friends. the "snakes" are still here and that we are here to stay. 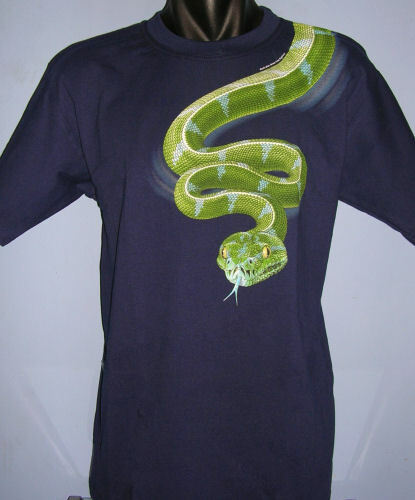 wearing a snake this year, it would be a definite great start. Kiss Your Brow and Bring Light into Your Darkness. The eastern white pine has the distinction of being the tallest tree in eastern North America. There is a legend from long ago in which there were warring times among the Mohawks and their neighboring tribes. The Mohawk Nation decided to put down their weapons once and for all. They buried their weapons beneath the white pine trees. From that time forward, peace grew through the white pine. An excerpt from The Legend of the Peacemaker in White Roots of Peace by Paul Wallace reads Peacemaker uprooted a white pine, exposing a deep cavern with a river at its bottom. He told warriors to cast weapons into this hole and the river carried the tools of war deep in the Earth. Replanting the white pine, the Peacemaker said, To bury the hatchet signifies the end of war, killing and violence. The Tree of Peace, Peacemaker explained, has four white roots extending to Earths four corners. Anyone who desires peace can follow the roots to their source and find shelter under The Great Tree. -----Eastern White Pine (Pinus Strobus) is a large pine native to Eastern North America, occurring from Newfoundland west to Minnesota and southeastern Manitoba, and south along the Appalachian Mountains to the northern edge of Georgia. 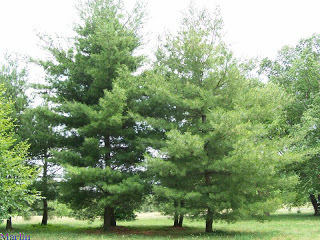 It is occasionally known as White Pine, Northern White Pine, or Soft Pine. It is occasionally known as Weymouth Pine especially in Britain. In addition, this tree is known also to the Haudenosaunee Native Americans as the tree of Peace. It is also medicinal. The inner bark and the needles are a rich source of Vitamin C. It has been estimated that a cupful of strong pine needle tea has more Vitamin C than the average lemon. 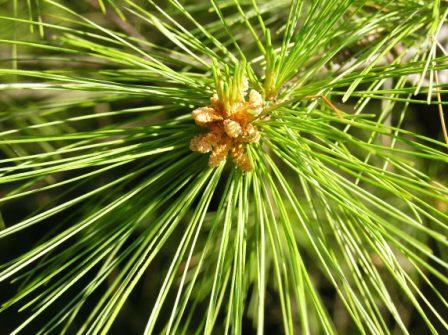 The pine essential oil is classified as a middle note, that is, its energetic effect is neither stimulating nor sedating, but rather it works to modify imbalanced conditions. One of the healing associations of the white pine tree is resilience. In plant terminology, resilience is a measurement of a plants ability to tolerate conditions of adversity and return to a healthful state. Demonstrating resilience through challenging climatic circumstances, pines remind us of our own ability to weather climatic shifts and to continue to work to secure the well being of future generations through difficult times. The Trees of Resilience are highly valued medicinal by the Native Americans, Chinese, and European cultures, bringing qualities of clarity and peace.